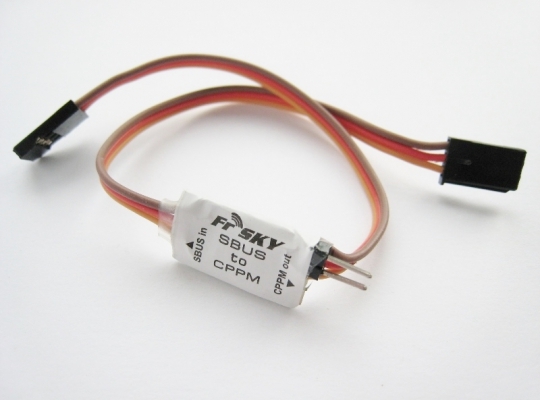 The FrSky SBUS to CPPM Converter allows connection of SBUS receivers to flight controllers that only accept CPPM signals. Compatible with recievers that feature the SBUS port. As well as others, examples are the FrSky TFRSB receivers and the Futaba S.BUS receivers (R6208SB etc etc). A jumper switches between 21ms and 28ms.